Bahn Mi or Pho? There is something about Vietnamese food that makes us crave for it. From the crispy Viet baguette to the grilled pork belly; the warm delightful broth for luscious pho, to the variety of wraps and rolls. 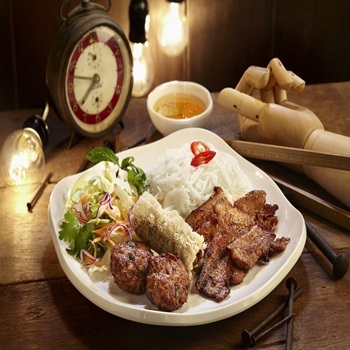 Come enjoy affordable Vietnamese food brought to you by authentic Viet chefs in our outlets. Little Hanoi is well-known to many who frequent Scotts Orchard area for work or shopping. 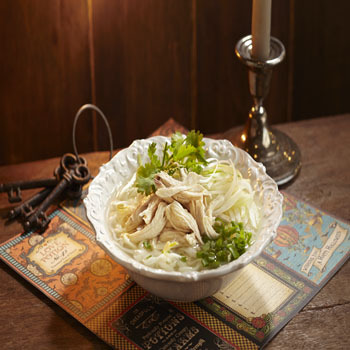 It offers a wide array of authentic Vietnamese offerings to fans of the cuisine. Best known for their Bun Cha (Grilled Lemongrass Pork Belly & Pork Patties with Deep Fried Spring Rolls served with dry tossed noodles), rich bone-broth PHO, as well as their freshly prepared Vietnamese baguette, Little Hanoi recently received an endorsement from a well-known ST food reviewer for their authenticity. Portions at Little Hanoi is generous and satisfying. Meats are grilled to a charred, smoky flavour. Expect to queue for your Vietnamese delights here but fret not, the queues move along fairly quickly. Thu Thu Baguette & Pho House, in Food Republic at Westgate, brings affordable and contemporary Vietnamese cuisine to the masses. Using only the freshest ingredients and traditional Vietnamese recipes with no added preservatives, they serve up favourites such as Signature Baguette with Pork/Chicken, Pho Bo (Beef Noodle) and Nem Cuon Fresh Spring Roll. You will get the best of both worlds, rice and noodles, with a slab of BBQ pork. For a while, it’ll feel like you’re in Vietnam.